Why let a dirty carpet make your home look unkempt and untidy when you can hire Best Carpet Cleaning Thousand Oaks for impeccable carpet cleaning services. Our team of skilled professionals will ensure your carpet looks fresh, clean and rejuvenated. We offer you superior carpet cleaning solutions at an affordable price. Once you have used our carpet cleaning services, you will never want to go to any other carpet cleaner in Thousand Oaks. This is our guarantee. We lay a lot of emphasis on customer satisfaction and ensure you are happy with the results we offer. If you find that your carpet is dusty, you shouldn’t try to clean it yourself. If you do, it will result in the dust rising from the carpet and settling down on every available surface. This dust can wreak havoc with allergies and also lead to a sneezing and coughing fit. Our technicians can clean the carpet thoroughly and remove all traces of the dust, including that which is embedded in the carpet fibers. 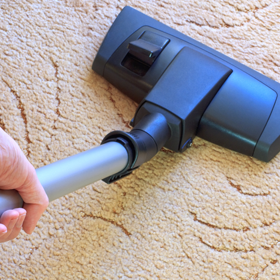 We use carpet cleaning methods that are gentle on the fibers of the carpet, but tough on the dust and stains. We will successfully remove all traces of dust and dirt with ease and this will restore the look and feel of your carpet. Rugs are more delicate than carpets and require special care and attention during the cleaning process. With us, you never have to worry as we will handle your rug with care and clean it to make it look lustrous and vibrant once again. Our unique rug cleaning methods extract dirt and grime from deep within the fibers and ensure you have to reason to worry. Leave your precious rugs in our capable hands and get amazed by the stunning results we have to offer. 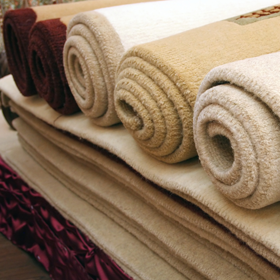 We use our own formulated cleaning agents that lovingly clean rugs without damaging the fibers and dye. Dirty upholstery can be an embarrassment when you get visitors at home or office. Since sofas, cushion chairs and cushions are used very frequently, they are bound to get dirty with time. Thankfully, you don’t have to explain to your visitors the state of your sofas or furniture, with Best Carpet Cleaning Thousand Oaks at your service. We have the knowledge, expertise and tools to undertake upholstery cleaning with ease. We can not only remove dirt and grime from upholstery but also eliminate marks and stains that have been around forever. 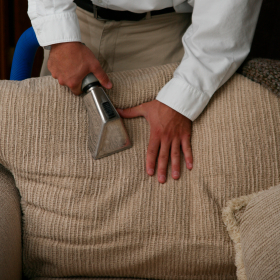 So, don’t think of replacing the upholstery until you have tried our upholstery cleaning services. You will love the fresh, clean feeling of your sofa after our technicians finish cleaning it. A burst pipe, flooding, clogged drain, overflowing toilet or a moment of carelessness like forgetting to close the faucet while filling the bathtub can lead to a deluge in your home. Water damage is destructive as it destroys everything the water touches. Also, it is unsanitary, as depending on the source of water, it could be carrying germs and pathogens. If you have sustained water damage, don’t panic. The key is to act quickly so that the stagnant water does not cause more damage to your assets and your property’s structure. Call us right away for water damage restoration. We will be there within no time with the right equipment and tools. Our technicians will pump out the water, air your home and dry every single item. We will even assist you to file a claim with your insurance provider. 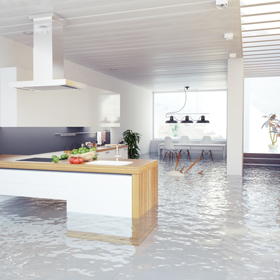 Our water damage restoration service also includes sanitizing your home so that you have no reason to worry. Indoor air quality is a touchy topic in the US. The EPA reckons that the indoor air quality in American homes is extremely poor, and in some places, it is worse than the outdoor air quality. That is worrying, considering that all homes have air ducts. These ducts are breeding ground for bacteria, dust mites and other allergens, and also cause dust and dirt to accumulate, aggravating allergies. 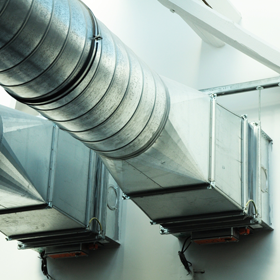 We provide thorough and reliable air duct cleaning that ensures even the hard to reach places are cleaned and every trace of dust and dirt is removed from your air ducts. Our air duct cleaning service goes a long way in improving indoor air quality and also helps to minimize allergies brought on by dust, mites and pollen. There is no doubt that hardwood flooring is elegant. However, if you don’t maintain the flooring, it can get scratched, stained and dirty, marring the beauty of your home or office. 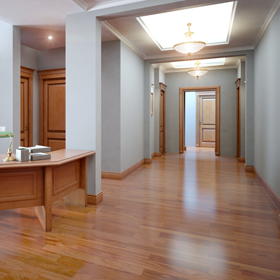 Call upon us to offer stellar hardwood floor cleaning to restore the look and feel of the floor. We have the experience and expertise to get rid of scuff marks, superficial scratches, stains and embedded dirt and grime. We use gentle hardwood floor cleaners that will make your flooring look new once again. We will even polish the floor to make it sparkle and shine. Our technicians will give you tips on how to maintain the flooring to keep it looking great always. Cleaning tiles and grout can be a tedious task. It is not something people look forward to but is a necessity as grout can become a magnet for dust and dirt, causing it to discolor. If you are in Thousand Oaks, you don’t have to worry about tile/grout cleaning as we will take care of it without any problem. Our efficient and specialized tile/grout cleaning crew will remove mold and dirt from your grout to make it look clean and fresh again. We will also clean the tiles to make them sparkle and look as good as new. We will clean every tiled surface, be it the kitchen or bathroom, to perfection. Our tile/grout cleaning service is renowned throughout Thousand Oaks and it is time for you to test it to figure out why we are in such high demand. Pets are a blessing and offer unconditional love. However, during an anxiety attack or when they cannot control themselves, they can dirty your home. Pets can easily soil furniture, carpets, cushions and bed, leaving behind an odor. You may not be able to discern the odor, but visitors will end up screwing their noses. Also, the telltale signs will be present all over your home. That is why you need to use our pet stain and odor removal service in Thousand Oaks. We will use eco-friendly cleaning solutions to thoroughly clean your home and get rid of pet stains and odor. You can rest easy knowing that your home will smell clean and fresh when we finish. 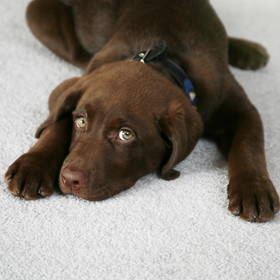 Our pet stain and odor removal service can deal with toughest stains and odors with ease. When you need cleaning services, be it carpet cleaning, air duct cleaning, hardwood floor cleaning or pet stain and odor removal, you can depend on Best Carpet Cleaning Thousand Oaks to offer the best service. Call us today at 805-852-1099 to schedule an appointment. Our technicians will come over and inspect your premises and give you an estimate right away. You will realize not only are our cleaning services exceptional, but also affordable. We aim to ensure our customers enjoy clean premises. 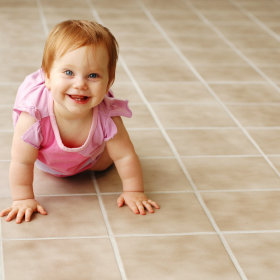 Carpets can be home to harmful microorganisms, dirt and dust. With our efficient rug and carpet cleaning services, we ensure your carpet, as well as, the rug gets thoroughly cleaned so that you cannot contract sickness and infections from them. Also, by regularly cleaning your carpet and rug, you minimize the chances of allergies. This can be a blessing for those who suffer from allergies brought on my pollen and dust mites. We offer more than carpet cleaning. We want to ensure you enjoy a high-quality indoor air. That is why we clean air ducts to restore the freshness of the air circulating through your home. We even come to the rescue when you sustain water damage. Our water restoration service restores your home to its former glory and gets rid of any telltale sign of water damage. We believe in your health and wellbeing. That is why we use eco-friendly cleaning products that are safe for your kids, pets and you. Our products are certified by U.S. EPA so you can rest assured about their quality and efficacy. We ensure you are 100% happy with our services, and we will persevere until we are certain that you are satisfied and content with our cleaning. Our technicians are highly trained and experienced. From simple to complex they can handle all tasks efficiently. They are adept at handling the latest equipment that we use to clean your carpet and other areas of your home. For us, every customer is special and we make sure you are treated with respect and care when dealing with us. We forge relationships for the long-term with our customer-oriented service.